Meaning of brown roses is friendship, appreciation, and love. Brown color has meaning as friendship, hospitality, down to earth, humble, trustworthiness, loyalty, warmth, and good health. Brown rose flower is rarely but it real roses. This is a perfect rose’s gift with meaning for colleague, partner, and men you love. Brown roses are flower gift to respect friendship for men and women. You can give it as special gift for best friend and close friend. Yellow rose also has meaning as friendship. 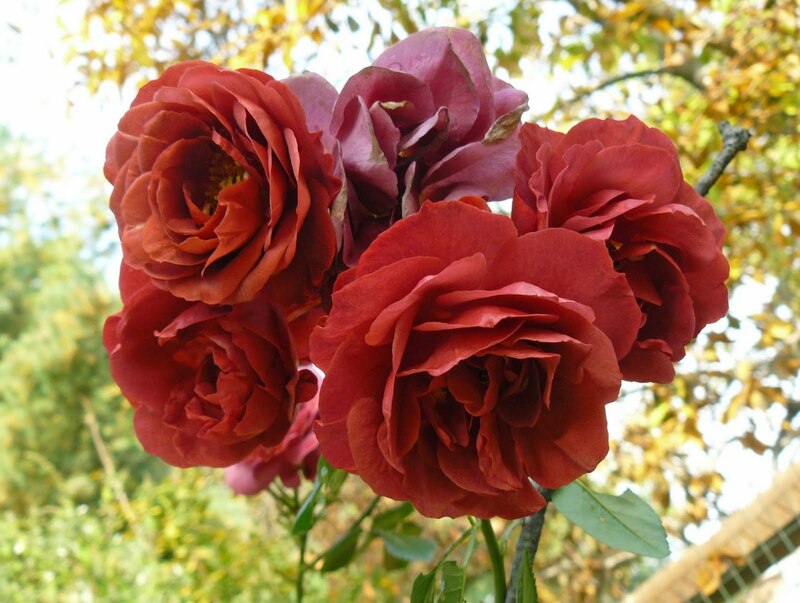 But brown roses is surprise gift because it is not commonly flower. Brown roses for best friend. You can give brown roses for friend or someone close to you as appreciation gift for his/her support when you deal with some trouble or hard time. Maybe you are sick or work hard to finish your project/study; and friend supported and motivated you through the time. In other time, you can give it as special gift when birthday, anniversary, holy day like Easter and Christmas, graduation, promotion, etc. How wonderful the brown rose when you understand it meaning. Brown roses for family member. You can give brown roses for your family member as appreciation of good relationship, trustworthiness, warmth, and good health. You can give it just to show that you love them all, you wish for their good life, good health, success in study or career, friendship, love and marriage relationship, and love of you. Brown rose’s gift will make your family cheerful and nice. Brown roses are best gift to appreciate something that has been achieved by friend, colleague, partners, or family members. Brown roses for colleague and partners. When someone got promotion, success in career, finishing study and graduated, accomplished a project, etc; you should give them brown roses. It is convey meaning that you are happy and appreciate their hard work and achievement. This is also the flower gift for Secretary Day. Brown roses with it meaning will make them remember and respect your attention. Brown roses for family member. 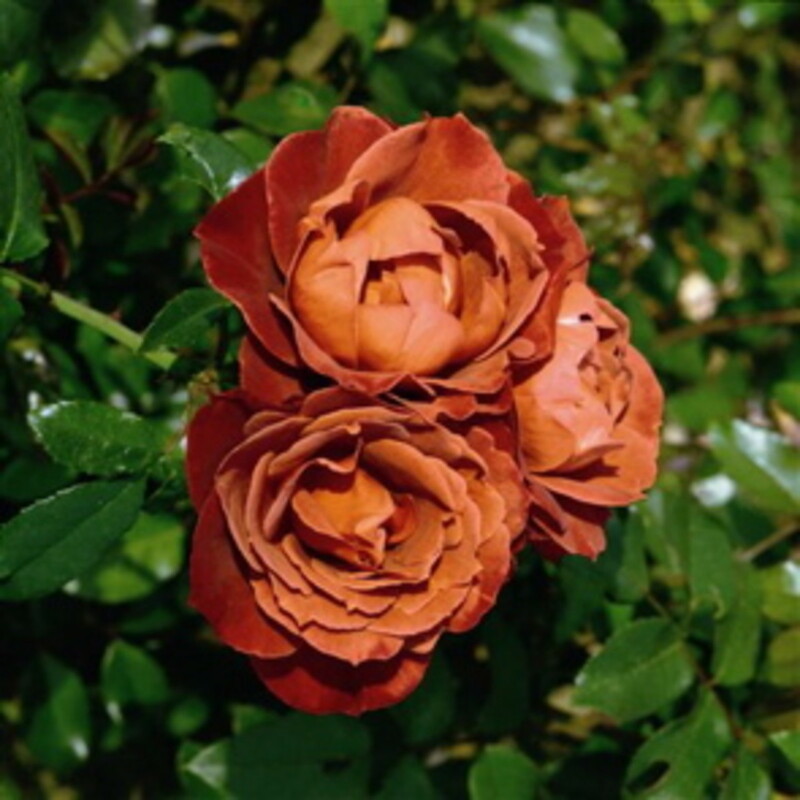 Meaning of brown roses for family is similar with explanation above. When someone in your family, like husband, wife, children, sister, brother, grandparent, has been achieved/ accomplished something important to their life, you appreciated them with brown roses. In human relation, flower gift play important role for women. Nevertheless, brown rose is masculine flower gift for men because it not so girly. When you give it to a men you love, brown roses has meaning as “I love you”. You do not need special reason to give him brown roses. Brown roses for men you love. If you are women, the reason that you would like to express “I love you” is the only reason when you gave him brown roses. Some men did not like flower gift like roses or other flower, but brown roses is the special masculine flower rose’s gift for him. He will surprise with it color because men generally like brown color. Brown roses for family love. You can give brown roses for family member to show that you love them. This is lovely flower for parent, couple, children, sister, and brother. You did not reason either, just send brown roses to say the deepest meaning that you love them. In my opinion, you did not need reason to say “I love you” to your family members; the only reason is just because you love them. That is the sweetest meaning of brown roses. Brown Roses as Wedding Flower. 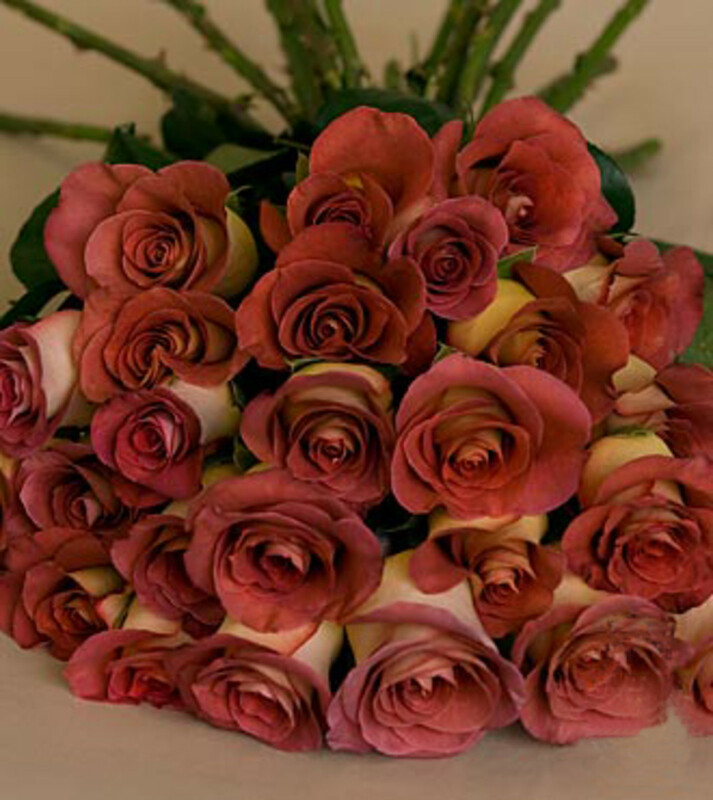 Now brown roses become popular as wedding rose which combine with other roses colors and flower. Red and white roses usually for wedding time. 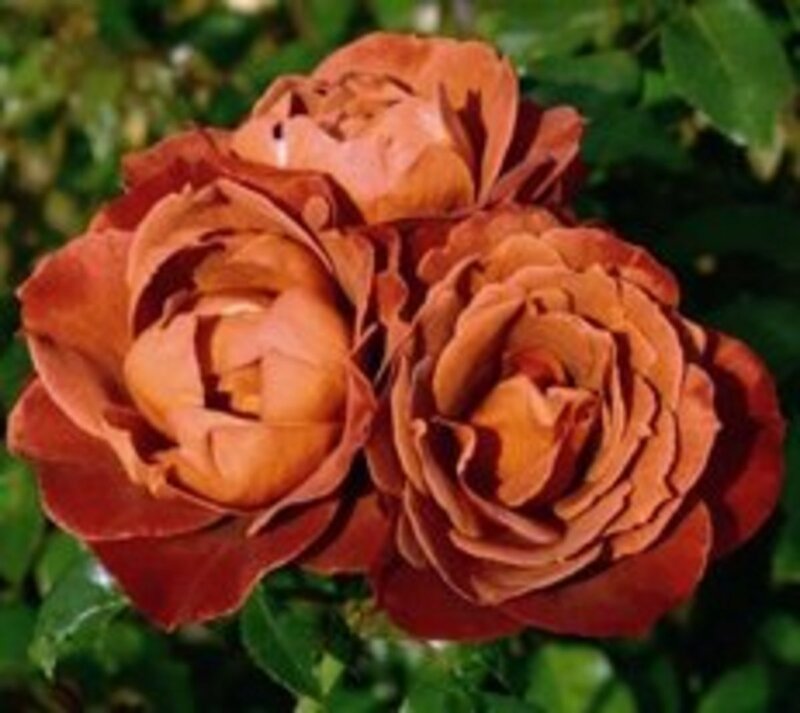 Brown roses as wedding flower have meaning as honesty of love, trustworthiness, and wishes for good luck for new family, health, fertility, and prosperity. Brown is the colors of earth where the seed grown; so brown roses wish for having a good children and warmth family. 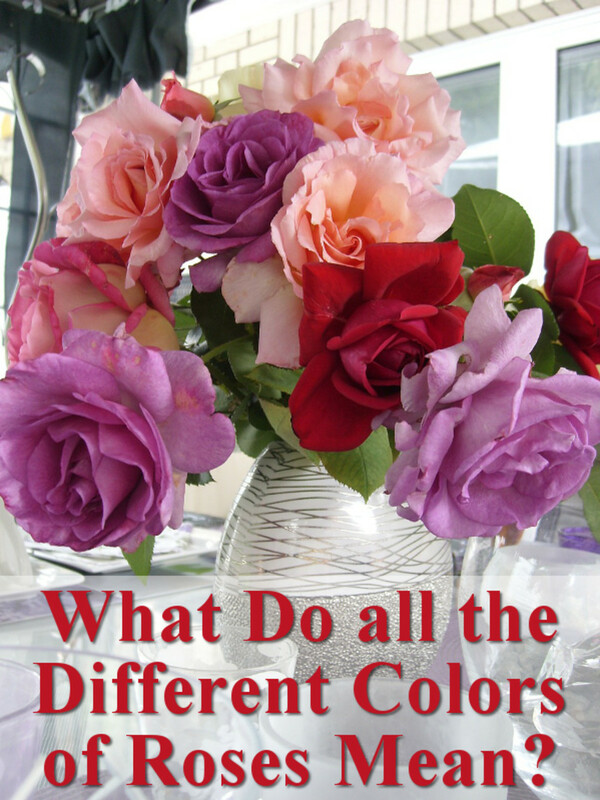 There are many rose types and colors. Each rose colors is convey specific meaning as flower gift. 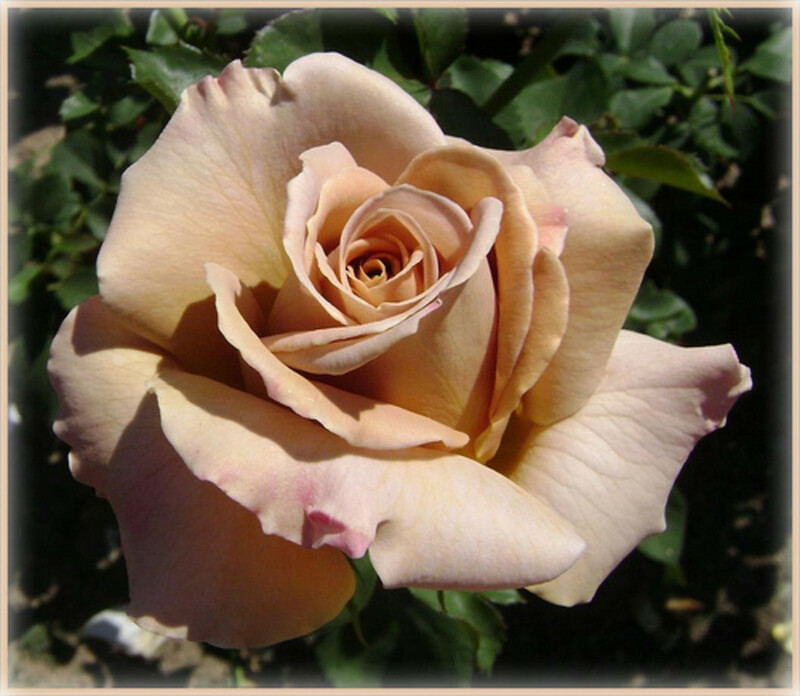 Brown rose (Rosaceae family) is the real roses flower and not commonly known. But today brown roses has become one of favorite flower rose’s gift. 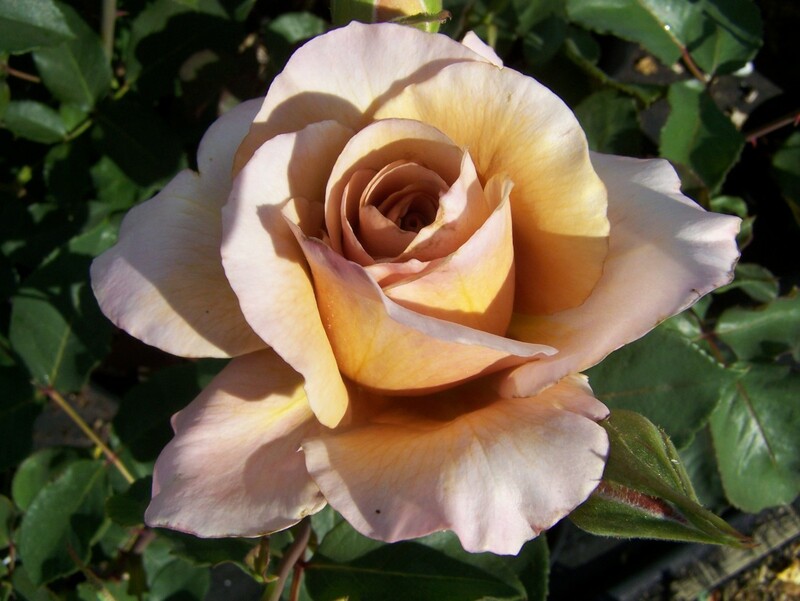 Brown rose has shades of color from chocolate, coffee, and ice tea color. 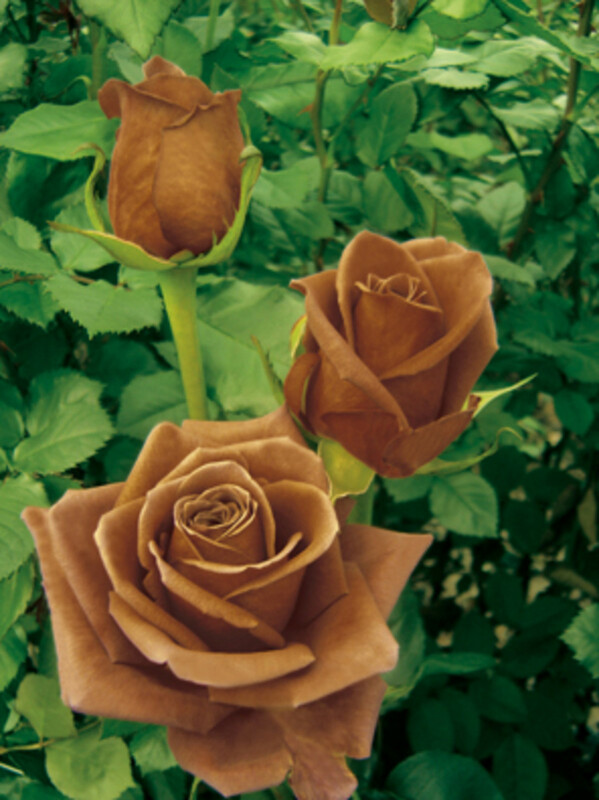 Brown velvet or Colorbreak is the most popular brown roses along with Hot Cocoa. 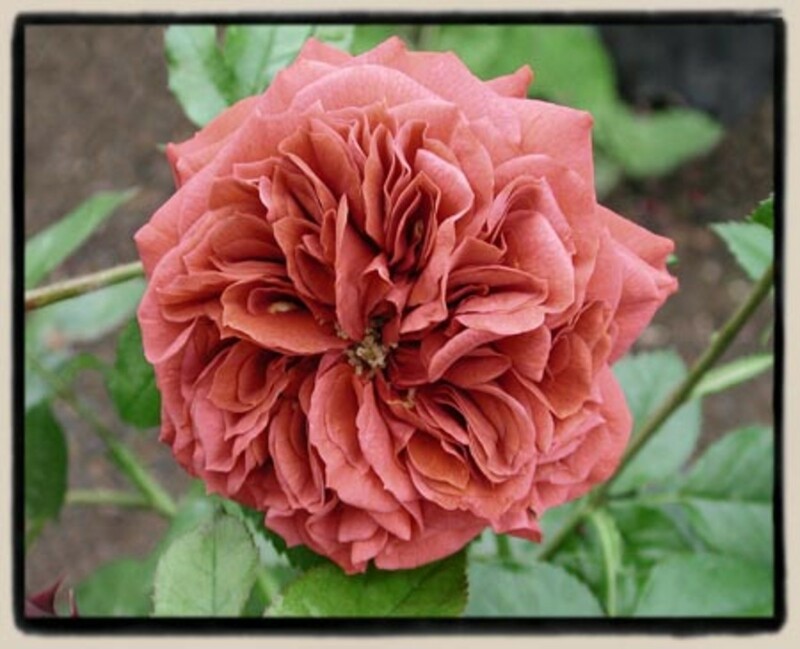 Brown rose color characterized by local climate because it is need full sun shining day to grown. Some areas are able to grown chocolate brown color, but in others areas maybe produces lighter colors. This is the reason why brown roses is only sold by some florist and become very special brown rose’s gift. 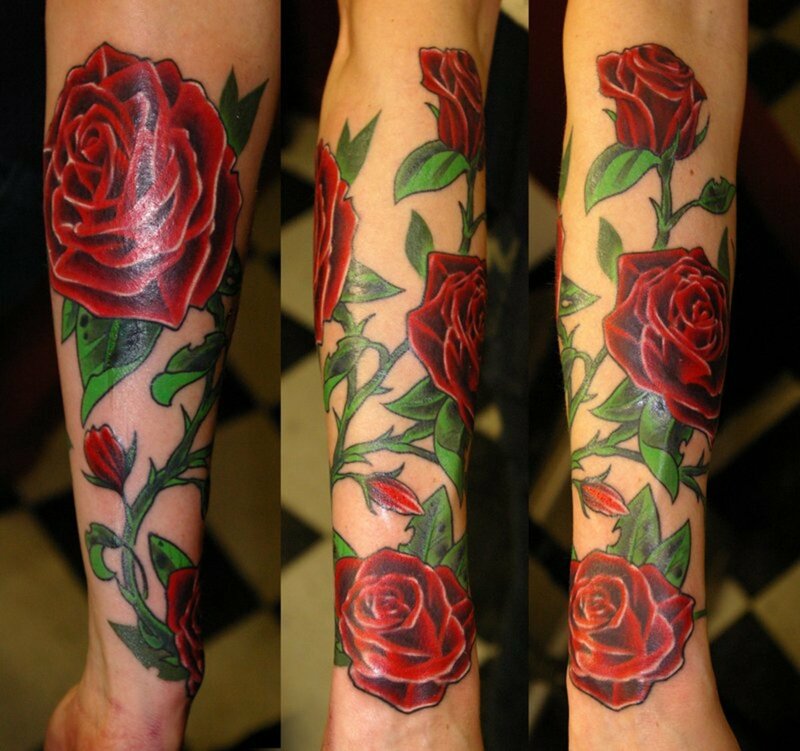 I love Roses! 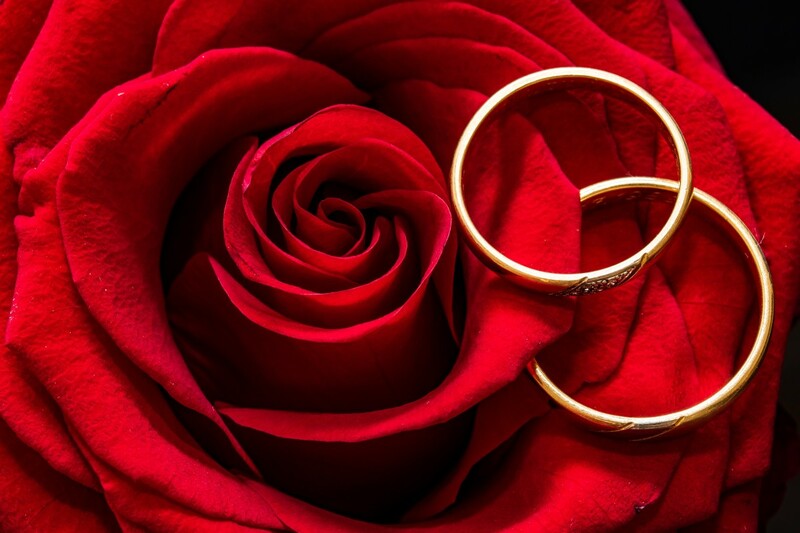 I have wrote "The Rose, a symbol of love" you might enjoy reading when you have some time. 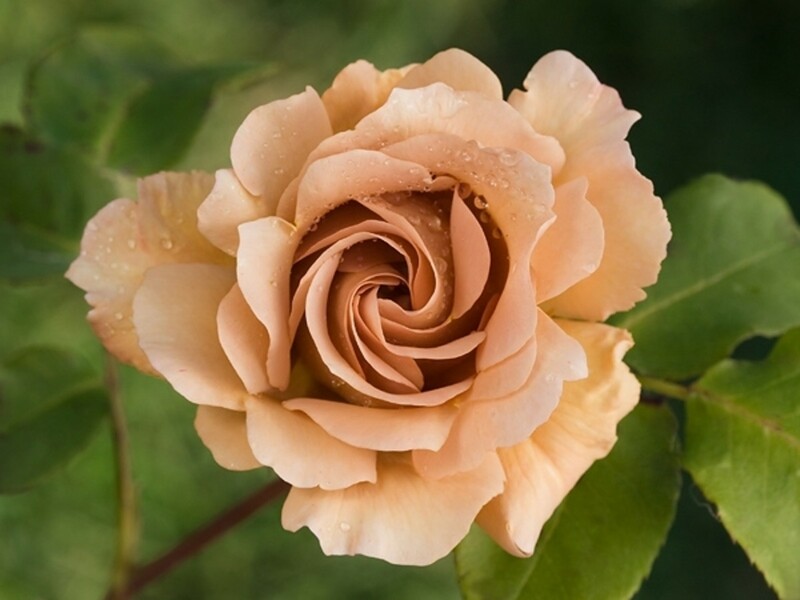 This brown rose is absolutely beautiful. I enjoyed reading about it, have voted this Hub UP, etc. and will share so my followers can see this beauty. wow..i really never seen brown roses before..but here they are,,right in front of me,are they real??? wow they're lovely too!